These extraordinary loads combine the legendary Sierra MatchKing bullet with Federal's proven quality standards and stringent manufacturing controls to create a round that is as accurate as a match load, but available from the factory. Are these magazines 20 round or 25 round w/ window? BEST ANSWER: These are 20rd mags without the window. 20rd Gen 3 .308 Magpuls w/ feedlip cover, still in the OEM package... just got them today. Description states 25rd magazines but the headline states 20rd mags, so which are they 20 or 25? BEST ANSWER: Subject line on email said 200 rounds also??????? OK PSA lets get it together now. Still waiting for that takedown pin that was omitted from my build kit also. Initial offering on daily deal was for 25 round mags. Now through some confusion they are 20 round mags. Bait and switch? BEST ANSWER: I had ordered the same thing, but when I called I found that they had ended that offer, but to keep us happy they started this sale. And you are right, it is a great deal too. Most would rather have the "20" round mags... so would that be a switch and bait ? Will theses mags work in your PSA GEN2 PA10 lowers? Will these mags work in my Colt 901 in 308? Can I switch out the 175gr to the 168gr federal ammo? Do these rounds have the same lot number? BEST ANSWER: All mine did... from numerous separate orders... but there is no guarantee, IMHO. Will these fit my Ruger Precission Rifle (.308 cal.)? 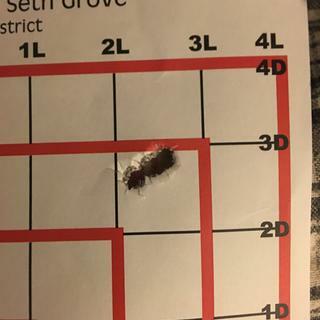 BEST ANSWER: Yes, it works in my RPR in 6.5 creedmoor as well. Will you ship these to California now that they are legal? Will it fit my AR-15? negative. these are for an AR10 which is .308/7.62, an AR15 is .223/5.56. check the barrel toward the front, it should be stamped what caliber it is. some are .223, some 5.56, some .223 wylde. they will all use any .223/5.56, but it is better to not use 5.56 in a .223 action because of the higher pressure loads. No, ar-15 is .223 or 5.56. .308 or 7.62×51 are for ar-10. Different calibers. No, it will NOT fit an AR15. The ammo and magazines are for an AR10 (7.62mm). No, that is designed for AR-10 and variants in 308 only, not an AR-15. No it will not fit an AR-15. You need .223 or 5.56mm for the AR-15. No. This is compatible with a .308 (7.62x51) PA10 platform rifle. No! This is AR10 Ammo and clips (.308). No it will not fit. AR-15 is 556/223. No only fits ar 10 configuration. Can I use 6.5 creedmore ammo in these clips? Long answer. The cartridge overall length should not be an issue. However there is no standard for ar10 builds, though dpms is the most common. If the rifle you are using has loading geometry that is set up close to the dpms then I'd say you're looking great. Otherwise not so much. yes, 6.5 creedmore runs fine in these magazines. Yes. Creedmore and .308 are the same case with different neck sizes. Yes, the mags will hold 6.5 Creedmoor. Yes the 6.5 work in the 308 mags . How many rounds comes with that deal and is it 20 or 25 rounds mags? BEST ANSWER: There are 20 rounds per box and the mags hold 20 rounds each. 100 rounds and five 20-round magazines. will these magazines work with a smith and wesson m&p-10 ? BEST ANSWER: As long as the M&P platform is based off of a DPMS LR-308 lower it should be fine, I have the PSA lower and the work great! Will it work in dpms's ar10 6.5 creedmoor upper? You are talking about the mag right? Because that is what I meant to ask about. Thanks. Correct. The the ammo is based on the same parent case, so as long as you have the correct oal it'll work. Ok I see that the mags go in the lower, which I have from PSA (DPMS AR10), so that means when I assemble a 6.5 creedmoor from a DPMS 6.5 creedmoor upper with my existing DPMS lower, I can use these mags to house the 6.5 creedmoor rounds and it should work normally (in theory at least)? The mags will work in the lower, and with any 308 based ammo such as 243, 6.5 etc. You get caliber specific uppers and use the ammo for that upper. Ok I see, it should in theory work with any 308 based round. Thanks. The magazines will work with the DPMS AR10, but the ammo certainly will not. Yes. These magazines will work with that DPMS-style upper. No 6.5 creedmore is not a 308! I meant to write if the mag will not ask about the ammo. My fault. Will these mags fit an Armalite AR 10? I have heard it both ways. BEST ANSWER: Yes, I used them in my dpms and palmetto ar10, works just fine! Yes, these will fit an AR-10, that’s what they’re for. From my understanding they will. Will these magazines fit the FN FAL? No, I got these for a AR-10. I have a FAL and no way would they work. 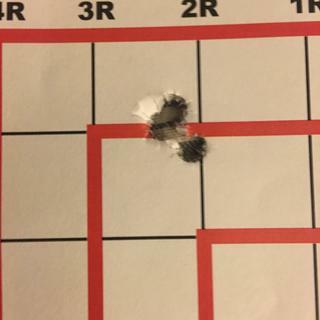 Can I shoot 7.62x51mm out of my rugar American predator bolt action in 308 win? BEST ANSWER: Yes. 308 and 7.62x51 are, essentially, the same round. There are small differences in case thickness to handle overpressure in military rounds but not enough to feel. Will these mags fit a Scar17s? BEST ANSWER: No, you'll need modified FN FAL magazines. They're entirely different. Has anyone tried these in a Ruger American .308? BEST ANSWER: Nope, but did try them in a PSA A10 .308 and they were great! Will the mags work with a ruger American? BEST ANSWER: as a rule if it looks like a duck ,etc. and meets the SAMMI definition for the round then yes. Will these magazines fit in my FN FH FNAR ? BEST ANSWER: I can’t say if that these will work with your FNAR. I’m using a different platform. No, the FNAR takes a special magazine that only fits the FNAR rifle. You need to special order the FNAR magazines and they are expensive. will the mags work on a windham weaponry AR10? BEST ANSWER: Yes, they will. I use them on my Windham Weaponry SRC-308. Yes. I use them on mine. Will they work in a DPMS AR 10? Are these mags plastic or steel ? BEST ANSWER: Plastic but very durable. Will the mags work in Kel-Tec rfb 308 which takes fal mags? BEST ANSWER: No they will not. These are on a ar-10 platform not a fal metric platform. will the magazines fit in a Ruger Gunsight Scout bolt action? Does this ship to my home or so I have to send to an ffl? Works great in my PSA upper and lower build, no failure to feeds at all. AR 10 lowers are not all the same so make sure your mags are compatible. These were plus you can never go wrong with Federal ammo, in my opinion. Would recommend! Simply a great deal. Buy it!! Good value clips work great and ammo shoots straight! Palmetto State Armory, will you marry me?! I love the combo packages available on Palmettos website. Not only is the ammo cheaper than most other websites and definitely in stores but you get magazines with your ammo for free pretty much so it's just freaking awesome! Excellent deal everything works as it should with my new PA10!!! Great ammo and great magazines! Would buy more but the wife...!!!! Excellent deal and fast shipping as always from PSA. These mags work fine in my Gen 2 DPMS once you trim follower...just YouTube it. FGMM 175 hammers in the gun as well. Great deal and more then fair price. I, as much as possible or almost exclusively fire Sierra Gold Match 175gr .308 cartridges through my Remington 700 Precision Bolt gun and on of my AR-10/SR 25 rifles. I appreciate the consistency and reliability of these cartridges. When paired with these MAGPUL magazines that is what convinced me to pull the trigger (so to speak) on this purchase. Very nice! Exactly what I expected. MAGPUL + Federal ammo. What's not to like? Great deal. Fantastic price, great ammo, arrived quickly. Everything works great couldn't be happier fast shipping. The ammunition is accurate and feeds flawlessly. All of the magazines performed without any issues. Received in a timely manner, love the Magpul mags. Federal Sierra Gold Medal is one of the best .308 Win Ammo at good price plus Magazines for the PA 10. Shipped promptly. I have not yet used "these" rounds or mags in my rifle, I have used other 175gr Fed. Sierra GM and the Gen M3 mags, not a problem at all. And yes, I will purchase more at this price. Premium ammo and IMO the best magazines available at an unbelievable price. Perfect combination for an AR10 lower. The Magpul mags work great in PSA AR10. 100 percent function..now if they would offer this package with hunting ammo also it would be the best deal out there..
A great deal.doing business with psa has been a pleasure.the price the the product the service are great.. I would not hesitate to purchase these items again, and plan to do so!! First I would like to say that the quality of construction is top notch. The ammunition is well balanced and packs plenty of punch at 400+ yards. The magazine's lead smoothly and retain spring tension when fully loaded for months at a time with no o hangups. Ammo is great and the mags make great range additions. What more can be said? 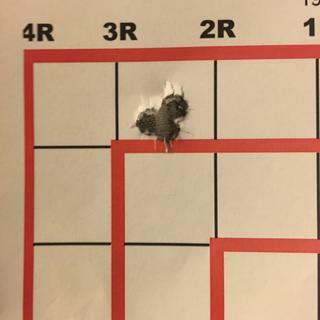 The AR-10 that I built on Aero precision upper and lower with a DPMS 18 in 1 / 10 twist Barrel seems to like the Federal 175 grain match ammo. You can never go wrong with Magpul magazines they have always function flawlessly. I bought the assembled Lower with the A2 stock and then purchased the mag and ammo combination. Planing ahead for when I complete the rifle instead of waiting till the rifle is finished. Great service comes from great employees. Keep it up folks. PSA PA-10 Gen 2 Owners- Put this on your WANT IT LIST. Hope that The Easter Bunny, The Great Pumpkin and Santa will bring this as a stocking stuffer or pile it around the skirt of the tree. I finally finished my AR-10 build with your lower and upper kit, and even though I had to wait for four months for the upper kit to be back in stock. It was worth the wait. But while I was ordering the upper with the build kit I was concerned about ammo and mags for this build, because unlike the AR-15's the .308 Win was an entirely new round and required larger mags. And if like PSA seemed to feel my concern, they decided to have this AR-10 ammo and mag sale. And I could not be happier. Especially with Magpul magazines and the Federal Gold Medal ammo. I couldn't be happier. I do plan to purchase more ammo and I hope that they will have more Federal on sale so I can keep my mags full. Great ammo and Magpul magazines are wonderful. Love the ammo and the P mags with dust cover are excellent . I am very pleased with both. You can't beat the price! Great product!!! Needed that... anyone seen the pak-a-punch??? How could you not like a deal like this great ammo and magazines. You simply CANNOT GO WRONG on this deal! Cant beat the ammo, unless you reload (just wanted the brass) and the mags combined. great deal. Seen this deal on there daily deal n l couldn't pass up , Mags works well with my AR 10 n the ammo will wait again , hoping to see a deal like this !!! Thanks PSA!!! No feeding issues what so ever!!! loved it wish I could buy more. Very nice and easy dealing with PSA. Ammo shoots accurately and magazines are in perfect working order. Waiting on weapons to be restocked so I can order from PSA again.